Wood is divided into two kinds; hardwood and softwood, however the names do not always refer to its actual hardness or softness. Softwoods come from evergreen (coniferous) trees, those that have needles and cones and retain them year-round, also called gymnosperms. Examples include Cedar, Cypress, Fir, Pine and Spruce. Hardwoods come from broad-leaved (deciduous) trees (those that drop their leaves each Autumn, also known as angiosperms because their seeds are encased in fruits or pods). Examples include Ash, Beech, Birch, Iroko, Mahogany, Maple, Oak, Teak and Walnut. 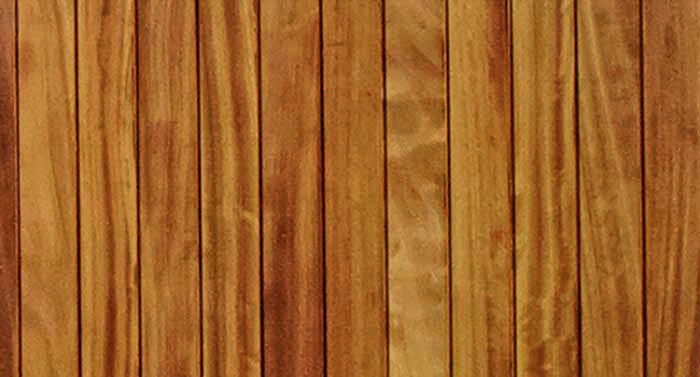 Slow grown Scandinavian kiln dried softwood typically a creamy white colour, with a hint of yellow and/or red. 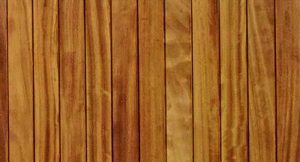 Softwood is a more economical option but is less durable than Iroko. Pedestrian and 5 Bar softwood gates will all be supplied pressure treated, giving the gates a green tint. This will naturally silver over time. Charltons use Womans CX pressure treated to UC4 level. UC4 is normally for wood in ground contact so they are treated to the highest level. Although the gates are pressure treated we would recommend regular treatment to extend the life of the gate. All Charltons Courtyard Gates are manufactured using the finest quality kiln dried Scandinavian redwood. Courtyard gates are supplied untreated and must be treated prior to installation as per instructions to comply with our warranty. Click Here for more information. All Charltons hardwood gates are made from Iroko: A responsibly sourced kiln dried African Hardwood which is usually a yellow to golden or medium brown, with colour tending to darken over time. Iroko is a very durable hardwood which is hard wearing and resistant to decay. If left untreated the wood will gradually silver but can be prone to watermarks. Although Iroko is a hardwood we would recommend treatment as per our care instruction (click Here) to protect the wood and to extend the life of the gate. Please remember timber is a natural product. It is a hygroscopic material, which means it naturally absorbs and gives off water to balance out with its surrounding environment. As such can be subject to movement and weathering as it seasons. It is quite common for small splits (shakes) to occur during drying and also warping when timber is allowed to dry too rapidly. This is nature at work and should not be considered a fault. This is normally not detrimental and in all but extreme cases will rectify as humidity rises.